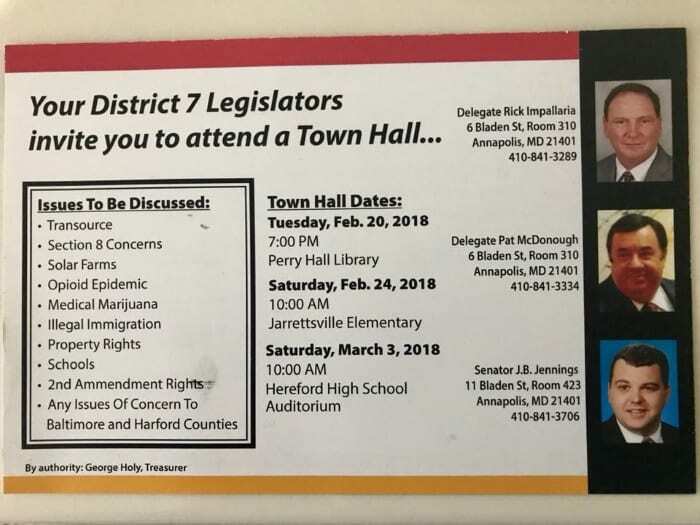 Baltimore County’s District 7 legislators will be holding a community meeting tonight in Perry Hall. 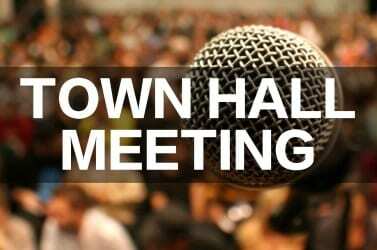 Senator J.B. Jennings, Delegate Pat McDonough, and Delegate Rick Impallaria will be holding a town hall at the Perry Hall Library on Tuesday evening to discuss community concerns. Discussion will revolve around such issues as solar farms, the opioid epidemic, medical marijuana, illegal immigration, Section 8 issues, property rights, etc. The event will begin at 7 p.m. The Perry Hall Library is located at 9685 Honeygo Boulevard in Perry Hall. For more information, check out the event on Facebook here.